CX-941 and CS-948 are one-component polyurethane-based, structural, industrial grade adhesives. 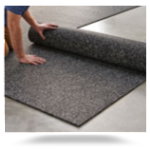 Elastomeric properties enable them to move with rubber as it expands and contracts. The patented formulas are VOC compliant, non-flammable, and contain no solvents or water. They have freeze-thaw stability (unlimited cycles), and they both provide excellent initial grab and outstanding bond strength. Both are formulated for indoor and outdoor applications on concrete, asphalt, rubber, cork, plywood, particle or chip board, cement, gypsum underlayment, and over radiant heat flooring When lightly misted with water, drying time is accelerated and will fully bond in just over 2 hours. CX-22 is a one-component polyurethane-based, non-sag, moisture curing, Class A adhesive/sealant that is VOC compliant. It has permanent flexibility and high strength, giving it outstanding durability and tear resistance. It also resists weathering and stress of movement. CX-22 is used as an adhesive seam sealer which waterproofs seams. It has high paint compatibility, and it is formulated for indoor and outdoor surfaces such as concrete, metal, aluminum, plywood, glass, cork and rubber. This sealant adhesive is a premium-grade, high-performance, moisture-cured, one-component, polyurethane-based, non-sag elastomeric sealant. Meets Federal specification TT-S-00230C, Type II, Class A. Meets ASTM C-920, Type S, Grade NS, Class 25; Canadian Standard 19-GP-16A, Type II. Special architectural colors on request. This adhesive has a very high viscosity with a medium set speed. It’s suggested for bonding metals or plastics where maximum gap-filling or drop-control is needed. 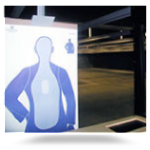 Testing indicates good flexibility and resistance to changing environments. With FASTAC accelerator gap size may be increased. 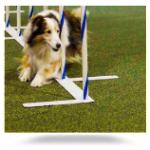 Ultimate Transition Strips are recommended for use where exposed rubber floor edges create potential trip hazards. Made from homogenous PVC, these strips are available in two different sizes. 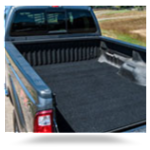 The 0.25″ profile fits 4-6mm rubber thicknesses while the 0.375″ profile accommodates 7-9mm thick rubber flooring. Ultimate Transition Strips can be cut to size or trimmed to fit tight spaces with a utility knife. 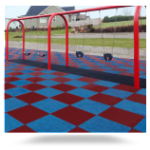 These strips are easily installed using a urethane adhesive and are great for busy workplace interiors and high-traffic public spaces like shopping malls, airport terminals, nursing homes, schools, hospitals and office environments. Ultimate Transition Strips are 12’ long and sold individually. Both strips are ADA compliant. 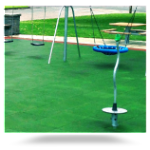 For regular, all purpose cleaning of recycled rubber surfacing we offer CleanBreak Neutral pH Cleaner & Degreaser. This economical, EPA-registered product comes in concentrate form that is diluted for use at a rate of 2 oz. per gallon of water. It dries without streaking and will not harm high gloss floor finishes. For occasional deep cleaning/disinfecting of recycled rubber surfacing Ultimate RB offers CleanBreak Disinfectant-Detergent. This economical, EPA-registered product comes in concentrate form that is diluted for use at a rate of 1-4 oz. per gallon. Veterinarian approved and shown to be effective against many viruses and bacteria, including Parvo and Kennel Cough, CleanBreak Disinfectant-Detergent is particularly useful in animal hospitals, boarding facilities, doggy daycare centers and dog training facilities. 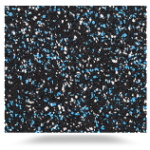 To seal porous surfaces and facilitate easier cleaning/sanitizing Ultimate RB offers CleanBreak Rubber Flooring & Mat Sealant. 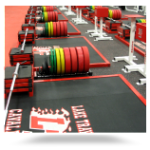 This water and chemical resistant material is easily applied and long lasting, and it will not impede the flexibility of rubber flooring or mats. 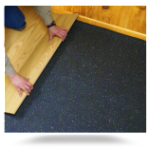 We recommend application of the product immediately after the new flooring is installed and once or twice each year thereafter, depending upon traffic volume. Reduce labor and cut stripping time in half with powerful Betco Extreme Floor Stripper. The high power, fast acting formula provides deep penetration into old floor finishes and does not require machine scrubbing. 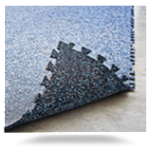 Simple mop agitation dissolves the toughest finishes, permitting fast pick-up with a mop or wet vac. Betco Extreme Floor Stripper is ideal for small, confined areas where floor scrubbers cannot travel. 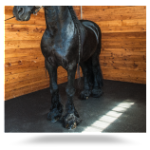 The no-rinse, low pH formulation actually leaves your floor free of alkalinity and ready for a new application of floor finish without the traditional labor step of neutralizing the floor. 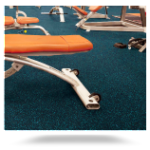 Betco Floor Stripper is commonly used in schools, hospitals, universities, fitness clubs, and a variety of different environments where Ultimate RB rubber flooring is installed. We offer Betco Extreme Floor Stripper in 1-gallon jugs or by the case (4 gallons). Betco’s high solids finish is formulated with a blend of pressure emulsified thermoplastics which creates a shine superior to conventional acrylic finishes. Betco Hi-Tech Floor Finish is self-leveling with excellent flow for easy application and self-sealing for reduced maintenance costs. The mild fragrance floor finish provides a wet gloss appearance that allows the true colors of Ultimate RB flooring to shine through. 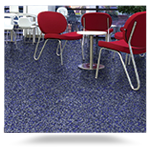 Betco Hi-Tech Floor Finish is easily applied to rubber flooring with a synthetic finish mop. Recommended for high-traffic floors like gym and weight rooms, retail sales floors, mall food courts and indoor play areas, Betco Hi-Tech Floor Finish will keep newly installed floors looking great. We offer Betco Hi-Tech Floor Finish in 1-gallon jugs or by the case (4 gallons). Need installation tools for you next commercial flooring project? Forgot to pack your favorite trowel? Or, perhaps you’re installing rubber flooring in a small space and could use an all-in-one economical installation kit. No matter what each project brings, Ultimate RB can provide the tools to help get your rubber floors or underlayment installed properly. Our economical toolkit includes one pair of nitrile dipped nylon gloves and a 9”x4” steel U-notch trowel (1/16”x1/16”x3/32”). The ergonomic gloves provide comfort and tactile sensitivity while protecting hands from chemicals and abrasive surfaces. The trowel has a contoured handle and flexible steel face for controlled adhesive application. Both basic tools are a necessity on the job and are available from Ultimate RB whenever you need them. 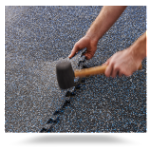 Ultimate RB Rubber Surface Repair Kits are ideal for high school or college running tracks, playgrounds, basketball/tennis courts and other EPDM-based granule surfaces. Each DIY kit includes rubber granules (1-3mm), pre-measured polyurethane bonding agent, u-notch trowel, mixing spoon, neoprene gloves and complete installation instructions. Standard granule colors include black, red, 401 green and blue. Custom colors are available upon request. Ultimate RB Rubber Surface Crack Repair Kits are ideal for high school or college running tracks, playgrounds, basketball or tennis courts and other rubber surfaces where a finer granulate mixture is needed for repair work. Each DIY kit includes rubber granules (.5-3mm), pre-measured polyurethane bonding agent, u-notch trowel and/or flexible putty knife, mixing spoon, neoprene, gloves and complete installation instructions. Standard granule colors include black, red, 401 green and blue. Custom colors available upon request.